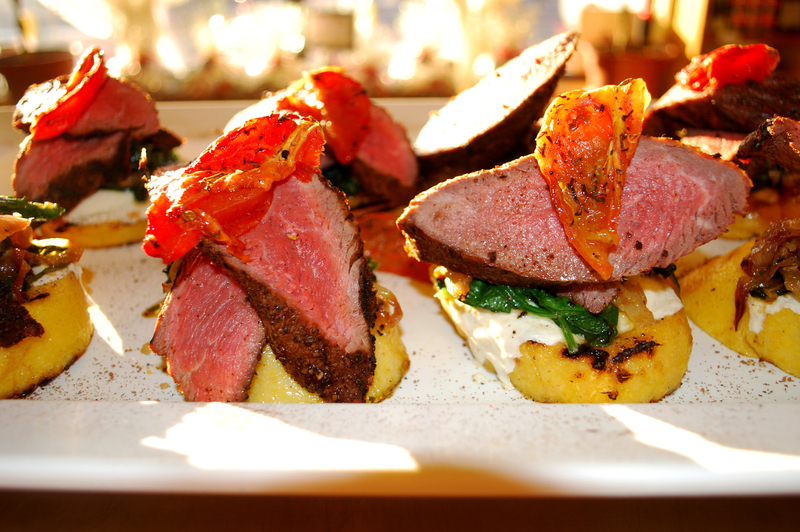 Our chefs have had the most fun making “stacks” (little mini meals) with various combinations of ingredients. 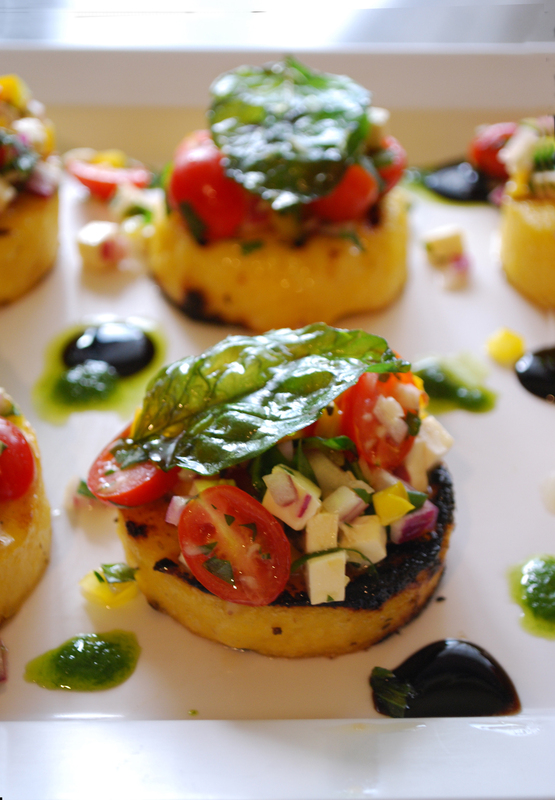 The one ingredient they use consistently as a base is polenta. Now, my long held belief as a lay person (Mary Anne speaking here) was that polenta was a lot of work to make. Well, we’ve been carrying this wonderful product in our store since we opened, Bel Aria pre-cooked polenta, and it will make your life so easy! And it’s really delicious. 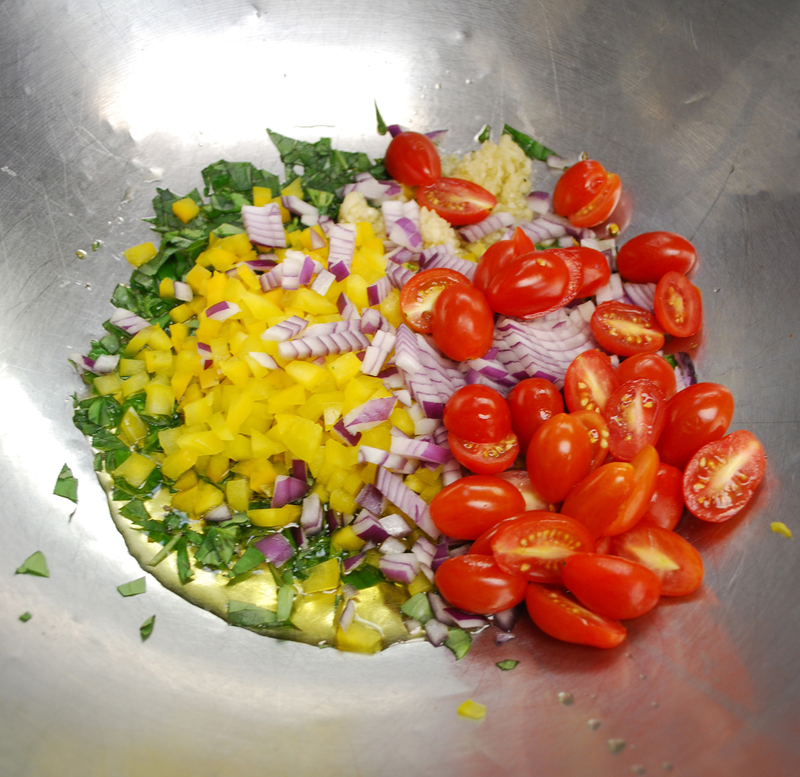 Simply slice, brush with olive oil and grill to create the base for a “stack” of any flavor. Polenta, the Italian word for cornmeal, has been the staff of life in Italy for centuries, particularly in the northern regions. It’s very nutritious and can be served many different ways: piping hot with butter and cheese, as an accompaniment to meat or fowl, fried, boiled, or baked with a variety of fillings such as sausage or cheese. It’s excellent as an appetizer when fried and topped with a savory spread. 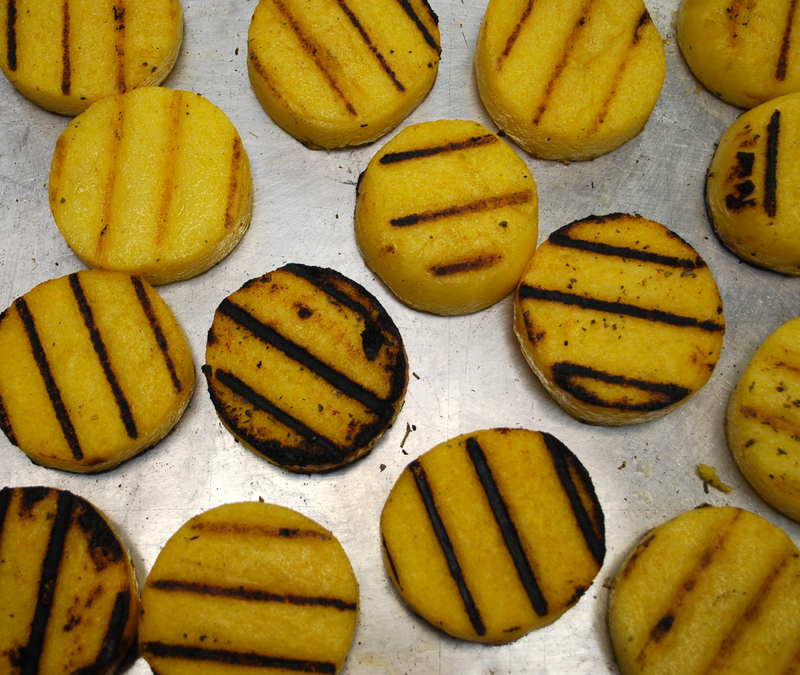 Bel Aria polenta is pre-cooked and rolled for easy slicing and heating. In addition to the plain variety, it’s also available flavored with basil and garlic or sun- dried tomatoes. Our chefs have had fun with different combinations using steak as a main ingredient (shown here with oven roasted tomatoes and spinach). 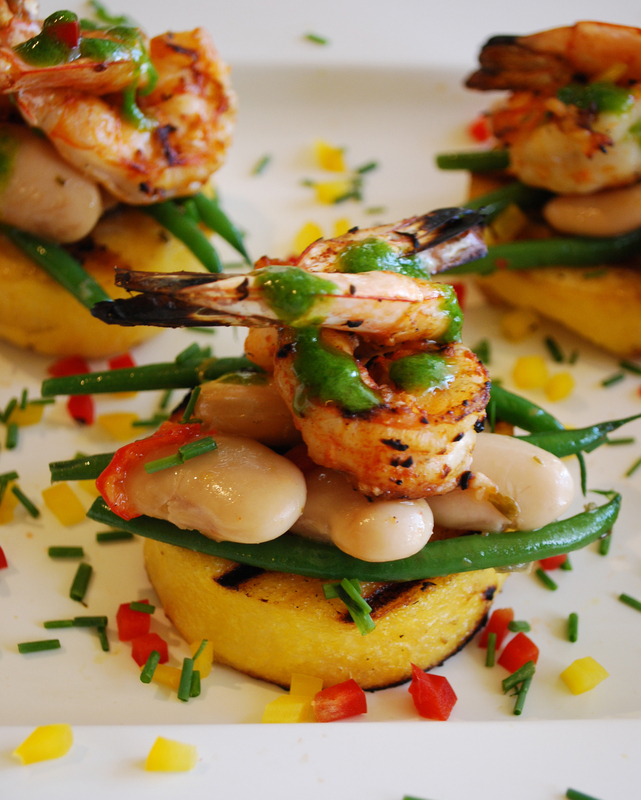 The opening photo features a popular combination of shrimp, gigande beans, and green beans garnished with chive oil. Today’s special features the ingredients traditionally associated with Italian bruschettas: tomatoes, basil, onion, garlic, olive oil, vinegar and finely diced mozzarella. Have some fun and make up your own combinations – these stacks are great as a first course, appetizer or main course. We love to play with our food!